An external digital SLR flash provides you with more flexibility than the flash that comes with the camera. 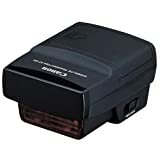 An external flash unit attaches to the top of your digital SLR via a connector called a hot shoe. This differs from the built-in (or pop-up) flash that come with many digital SLR camera models. There are many benefits of using an external digital SLR flash over the small one included with your camera. Let's talk about these in a little more detail. 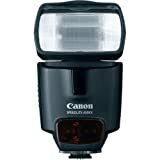 Since an external digital SLR flash is a self-contained electronic device (with its own batteries and controls) you can make fine adjustments for the quantity of light it puts out. The flash bulb on an external flash is larger than on a pop-up, so it is able to put out more light. Many external flash heads have a swivel and bounce feature, that allows you to rotate and angle the direction of the flash. An external flash eliminates red-eye because it is far away from the lens. Red-eye is caused when the light emitted by the flash bounces off the retinas of your subjects and back into the lens. When the flash isn't next to the lens, the angle of reflected light is greater, and this ensures that you won't photograph any more people with glowing eyes. Guide numbers are used to indicate the power of a digital SLR flash. The higher the guide number, the more powerful the flash. Guide numbers assume that you have your digital SLR set to ISO 100. Guide numbers work in conjunction with the aperture of your lens (how wide the lens is open). 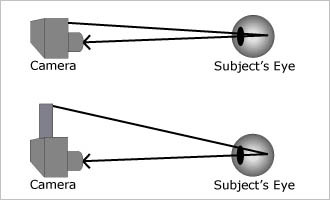 Here's the relationship: [guide number] / aperture = distance of full illumination. For example, let's take a digital SLR flash with a GN of 80. This means that at ISO 100, and using an aperture of f/8, a subject standing 10 feet away will be fully illuminated: [GN 80] / 8 = 10. If you change the aperture to f/4 (a wider opening) a subject standing 20 feet away will be fully illuminated: [GN 80] / 4 = 20. Unfortunately, there are a few issues with guide number that make it hard to use as an objective comparison between flash units. First, the distance is from the flash to your subject. If your flash is not directly attached to the camera's hot shoe (see below), then you have to re-calculated the distances. Second, if you use any sort of diffuser on the flash (see below), the guide number distance is affected. Guide numbers are a good starting point when comparing flashes, but look for other features of the flash as well. Some flash heads (the cheaper ones) only point straight ahead. Since this is not a whole lot different from your pop-up flash, it doesn't add a lot of flexibility to your flash photography. Other flash heads can rotate left and right and can be angled up and down. Rather than blasting your subject with light, you can bounce the light off a reflective surface (white walls and ceilings work quite well). Recycle rate is the speed that the flash returns to full power once it has fired. Let's say that you are taking photos of your son's birthday party in your living room. You take one photo as he's about to blow out the candles, and the flash goes off. As he blows out the candles, you can keep taking photos, but until the flash has returned to full power (which can take a couple of seconds) the photos won't be well-lit. Flashes with fast recycle times are great for people who use flash a lot but need it to keep up with their shutter finger. The sure-fire way for your flash to work with your camera is to buy a flash from the same manufacturer. All of the major manufacturers also produce flash units including Canon , Nikon , Olympus , Minolta and Pentax . Just like with lenses, there are also third-party manufacturers of external digital SLR flash. These companies include Metz, Sunpak and Quantum. If you do decide to go with a third-party flash, make sure it is the right one for the digital SLR camera that you own. If you really want to get fancy with flash, get it as far away from your camera as possible. Typically an external flash attaches directly to the top of your camera where the hot shoe is located. The hot shoe provides an electronic connection between the camera and flash, so that the flash goes off when you take a photo. There are two different ways that you can remove the flash from the hot shoe and still get it to go off. 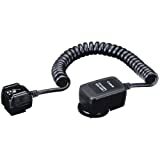 One end of the sync cord attaches to your camera's hot shoe, and the other attaches to the external flash. This creates a direct connection between camera and flash as if the flash were attached to the hot shoe. Sync cords work well if you only want to move the flash a short distance from the lens. If you've been to a wedding lately, you might have seen the photographer using a bracket with the flash mounted on top. The flash is attached to the camera with a sync cord. Some flash units are able to fire wirelessly. When they detect that a flash has gone off on the camera, they fire simultaneously. If you only want the flashes to fire without using an on-camera flash, you can get a wireless trigger that will set off the flashes when you take a photo. As if it weren't enough to think about sync cords and wireless flashes, here are even more add-ons for your digital SLR flash. A diffuser softens the light emitted by the flash and spreads it out more evenly. It's a lot like the difference between taking photos on a sunny day (flash without diffuser) and taking photos when it's overcast. A reflector has the same effect, the only difference is that you're bouncing the light off a reflective surface rather than passing it through a filter. Reflectors also spread the light out from a digital SLR flash, which creates less contrast and softer shadows. There are hundreds of different diffusers and reflectors to choose from. What type of external flash do you have? How much do you want to spread the light out? Some diffusers are only compatible with a specific flash unit, so you have to be careful to find the right one for the flash that you own. Answering the second question will help you decide whether to get a diffuser, a reflector or a combination of both (reflected light that is diffused). If you'd like to get an idea of the variety out there, take a look at flash diffusers by Sto-Fen and reflectors by LumiQuest . You might be scratching your head in wonder at this point. Seriously, is all this gadgetry designed just to satisfy those individuals who want to spend hours fiddling with their digital SLR flash? If you rarely take photos indoors, and prefer natural light over artificial then the most you might need is an external flash to eliminate red-eye. But if you find yourself taking a lot of flash photos indoors, the more you can modify the light, the better your photos are going to look. Still don't think you need all this stuff? Here are two extremely practical uses of flash, and why you want more than just the pop-up your camera provides. If you really want the products you sell on eBay to look good, get a better flash. When you photograph a small object head-on with a pop-up flash it washes out the colors and creates a lot of contrast. Instead, modify the light and spread it out. Get an external digital SLR flash off the camera with a sync cord so that you can angle the light. 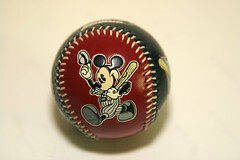 Then diffuse the light so that it creates more even illumination for your eBay product. It does take some adjustments, but eventually you'll find a setup that works. I can't guarantee that your eBay products will sell for more money, but they certainly will look good to prospective buyers. Fill flash means that you're using your flash in broad daylight. Instead of using the flash to completely illuminate your subject (when there isn't any ambient light) you're using it to brighten shadows on a really sunny day. Imagine that you're taking a picture of a good college buddy who always wears the same baseball hat. If you're outdoors on a sunny day between 11 and 1pm, the shade from the hat will completely obscure his eyes and nose. In order to brighten the shadows, you can fire your flash even though there is plenty of light. The light from the digital SLR flash will "fill in" the shadows and create a better balance between the highlights and the shadows. While you can use your camera's pop-up flash (it will work in a pinch) an external flash will give you more control over how much light you add to the shadows. Special Note: pay attention the next time you watch the pre-Oscar show. You'll notice that all of the photographers are using external flash even though it's still light outside. There's one last limitation of digital SLR flash that you should be aware of. This is not actually a limitation of your flash, it's a limitation of your digital SLR camera. Your camera has what's called a maximum flash sync speed. This is the fastest shutter speed that you can use when you're also using a flash (whether it's built-in or external). For many cameras, the flash sync speed tops out at 1/250th of a second. If you try to set your camera's shutter speed to 1/350 or 1/500, it won't let you. You need fast shutter speeds to freeze motion and get clear photos. When your maximum shutter speed is limited to 1/250, you'll have a hard time capturing those fast-moving subjects when using flash. 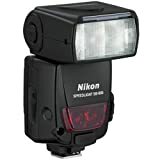 The only cameras that I know of with faster flash sync speeds are the Nikon D50, Nikon D70 and Nikon D70s which both have flash sync speeds of 1/500th of a second.